Could a list of preferred providers put you at risk of legal woes? Possibly. The Real Estate Settlement Procedures Act (RESPA) doesn’t specifically mention preferred provider lists. Still, some experts fear that using a preferred provider list is a red flag for regulators under RESPA. What’s Covered Under RESPA? It’s important to note that RESPA applies only to federally insured loans. If there is no federally insured loan involved, RESPA and the potential violations discussed do not apply. Or, to a real estate licensee who does not do actual work on the transaction (loan or sale). 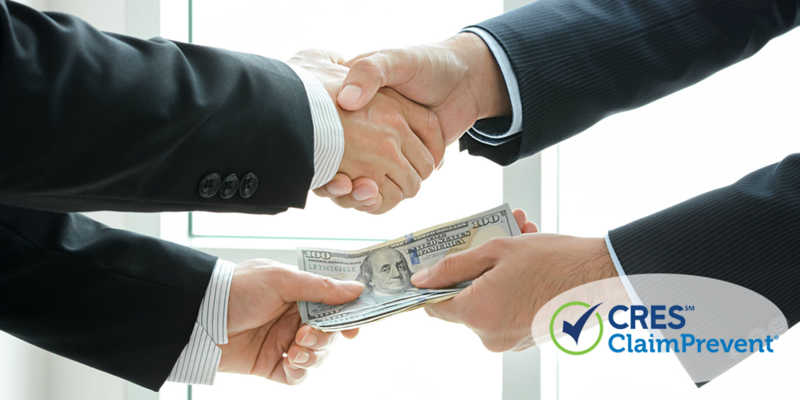 If you make referrals — to non-licensees or to licensees who do not perform work on the transaction — in exchange for monetary gain, gifts, or expected future business, that is a clear cut violation of RESPA. Requiring clients to use specific vendors, or even implying that a specific vendor is required, is also a violation. Preferred provider lists for companies — including lenders, mortgage brokers, escrow agents, home warranty companies, insurance providers, builders, or contractors — signal the possibility of a kickback or other gains by the broker who recommends these providers to clients. Unless the referred provider is a real estate licensee (and will be performing work on this sales transaction), having a preferred provider list would violate RESPA. Does the Preferred Provider challenge mean you can’t make referrals under RESPA? No, but you need to do so carefully. Exclusive arrangements are often problematic in that they require a person to use a specific provider, but you can work with multiple providers. Affiliate arrangements can also get you into trouble. You should disclose any connection to an affiliate and how you benefit from that relationship. Make sure people know the cost of the service, and that they have other choices. Many brokers do use a preferred provider or recommended vendor list, but “everyone does it” is no defense. When offering vendor recommendations to clients, include in writing that it is their responsibility to review vendors and select one that best fits their needs. Add language that indicates you’re providing a few recommendations for consideration, but you advise they review additional options to find the right fit. Does RESPA Apply to Property Management? Because there is no sale or exchange of property in a property management situation, RESPA does not apply to property management situations. Since RESPA is not involved, rules about referral fees also do not apply. Although it is not a RESPA matter, it is still a good practice to disclose any referral fees for property management and have the landlord date and signed the disclosure. RESPA violations carry large fines or imprisonment. It’s time to take a look at your preferred provider lists and affiliate relationships to make sure you are in compliance. RESPA can be tricky and it makes sense to get legal advice. If you are worried about a violation, CRES Real Estate E&O + ClaimPrevent® clients have access 7 days a week to our real estate legal advice team. What changes will you make in how you refer clients?